Click here to contact us with any questions that you may have. MoonRay Web Designs is a creative company dedicated to fulfilling all of our clients’ website needs with personal, attentive service. From a basic internet presence to an elaborate, mult-page site for a small or new business attempting to capture a bigger market, to a large company trying to re-establish itself in the electronic age…MoonRay Designs can create a quality site to match your goals and criteria. 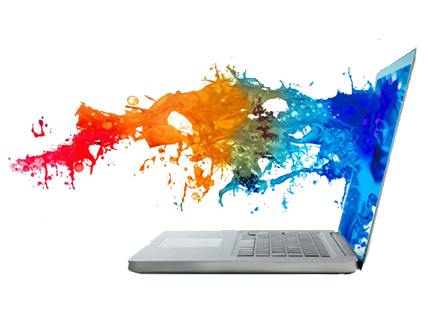 We offer a full range of website and internet services! Website design and updating, website hosting, email accounts and support, and even I.T. work! Today, the web offers so many great options to market your business. Email marketing, video marketing, social media marketing and more. Come in for a free consultation so we can help you determine the best path for your business. Your business identity gives your customers the first impression! Having a great looking logo and having your brand consistent throughout your business from your website, business cards, vehicle wrapping, signage, print materials and more, we can work with you to build your brand! What’s the easiest way to gain new customers? To have your website show up on the first page of Google! There is a lot invoiced in SEO, and depending on your geographic area and your competition, it can be anywhere from fairly easy to nearly impossible to get to that first page. We can run google page rank reports to help determine a plan of action to make that happen. Thanks to the expert advice we received from Moonray Designs we have expanded our marketing world wide on the internet. Moonray’s design of our web page and maintenance of our web page has made a positive difference in our sales, inquiries and therefore our bottom line. Scott at MoonRay Designs is the champion of websites. My computer skills were zero. I gave him a try because of a referral, and it was great to get someone who can over-deliver. I’m the CEO of two companies with 30 years of sales experience and Scott is extremely talented to work with in designs and understanding the target audience I wanted to reach. With over one billion websites spanning over the web today, it is important to have a sleek and responsive website design. Among these various sites, standing out can be hard. But it is possible with the right design and in the long run, an effective marketing program. The best websites have a purpose, use their design as a branding tool, and can be easily navigated. This is made possible through the use of quality copy and images, custom design, and a solid site structure. With the birth of the internet, everything changed. That includes the marketing world. Soon enough, getting ranked high in Google searches became the ultimate rat race. In that race we’ve been through the days of back pages filled with nonsense keywords. Then Google update after Google update making online marketing teams scramble to adjust their site’s search engine optimization (SEO) strategies.